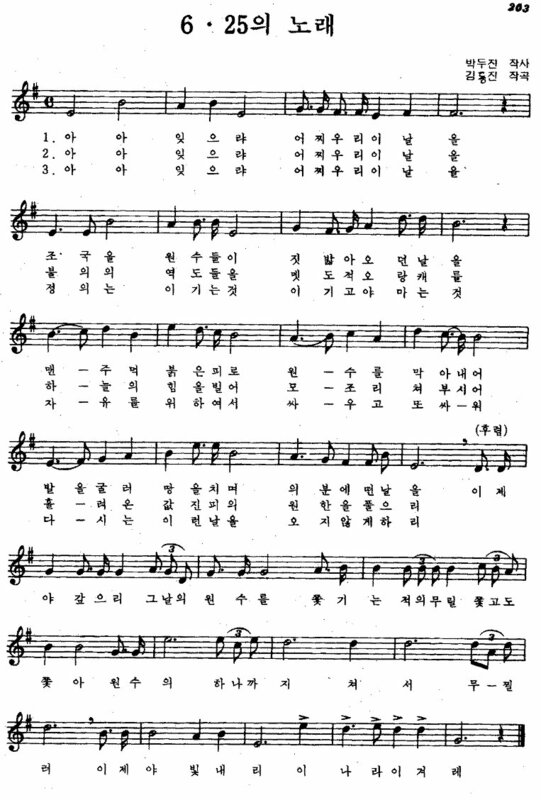 Here is the translation of a patriotic war song that was popular on the southern side during the Korean War. It is simply named the 6.25 song (六.二五의 노래) after the first day of the Korean war. 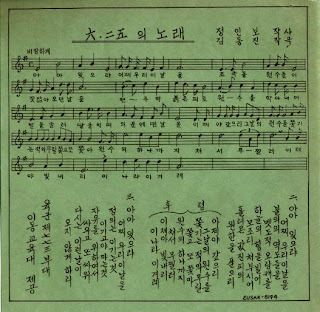 Pamphlets with the song's lyrics were printed and distributed by the Military Public Information Service of Korea as part of their war propaganda. 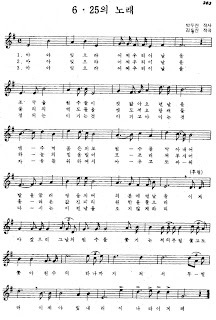 The song used to be taught to middle and high-school children until the 80's, when anti-communism was at its peak. However this seems to have stopped with the end of the Cold War and the beginning of the Sunshine policy of reconciliation. Ah, Ah, How can we forget the day! Thank you very much for providing the English translation! Peaceful and conciliatory lyrics abound. I have heard this song in a 1974 propaganda movie "Jeungeon" and now my cinematic experience is complete.